Very impressed. He was extremely patient, explained everything, and actually spent the better part of a half our going overmy medical history. I am pleased to have found him. Dr Bartley was very kind and thorough. He answered and addressed all of my questions and concerns. The office seemed tobe very busy but my wait time was short. I heard lots of Spanish and maybe even Russian spoken, I thought it was helpful to client that they have nurses and staff to communicate with in their first language. Dr Bartley was very kind and thorough. He answered and addressed all of my questions and concerns. The office seemed to be very busy but my wait time was short. Iheard lots of Spanish and maybe even Russian spoken, I thought it was helpful to client that they have nurses and staff to communicate with in their first language. After graduating from high school, Dr. Bartley attended Yale University graduating in 3 1/2 years with a B.A. in Religious Studies and Pre-Med. 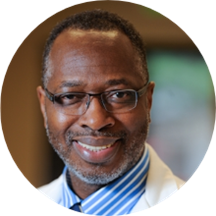 Dr. Bartley attended the University of Miami School of Medicine, and was accepted to his first choice for residency – the top OB/GYN program at the time, Case Western Reserve University at the University Hospital of Cleveland. As a resident, Dr. Bartley quickly distinguished himself earning the nickname “the man with the golden hands” due to his surgical talent. After residency he moved to Brighton to serve his two year commitment with the U.S. Public Health Service. By the end, he had fallen in love with Colorado, its people, and the Mile High environment and decided to make Colorado his home. Dr. Bartley is married and has two sons that are currently in Medical School. During his time in Colorado, Dr. Bartley has been active in improving the quality of women’s healthcare. He is a former president of the Colorado Perinatal Care Council. In 2001, Dr. Bartley served as the President of the Colorado Gynecological and Obstetrical Society. In May 2008, Dr. Bartley was honored by Black Enterprise Magazine as one of the Top OBGYN's in the United States. Dr. Bartley was appointed by Governor Bill Ritter Jr. and just re-appointed by Governor John Hickenlooper, to serve on the Hospital Provider Fee Oversight and Advisory Board. I was taken back for my appointment ahead of schedule. The staff were nice and professional. Dr. Bartley made me feel very comfortable and explained everything as he progressed. They took their time. I appreciated his effort to get to know me as a patient. He did not take offense when I needed to leave due to working obligations.